(SitNews) - Since the advent of sabermetrics, the already insufferable annual argument about who should get into the dysfunctional Baseball Hall of Fame has become more tedious. Sabermetricians, who have significant influence within major league baseball and on the Baseball Writers' Association of America, constantly advocate for very good but not great players' induction. They argue that, according to some obscure metric, failure to vote for one of their favorites is a grave injustice. Sabermetricians represent Hall expansionists, the large Hall guys. Large Hall proponents cast aspersions on small Hall guys. The logical support of a smaller, more elite Hall is rudely dismissed as embarrassingly uninformed. Tune into any baseball talk show, and the panelists want to vote for more than the ten players the current process allows. Limiting the vote to a mere ten is, one writer opined, "deranged." Consider the following small Hall argument. Identify which player is out of place in this sentence: "Willie Mays, Ted Williams and Jim Thome are in Cooperstown." The obvious answer: Mays and Williams are legendary baseball superstars about whom there's no debate as to their worthiness. Thome, on the other hand, is a valuable, but one-tool player - home runs - who cannot by any stretch be placed in the same skill category as Mays or Williams. In Thome's 22-year career, his 612 home runs rank a modest eighth among all-time leaders - he led the league only once - but never led in any other offensive category. Yet Mays, Williams and Thome are all in the Hall of Fame, and, absurdly, all were inducted on the first ballot. Maybe there's a sabermetric explanation for how Thome with no Most Valuable Player awards despite more than two decades in baseball becomes a first ballot Hall of Famer. Once knowledgeable baseball historians reasonably differ about whether a candidate should be inducted automatically indicates that he shouldn't be. Mays and Williams, slam dunks; Thome, significant disagreement. More broadly, and more obviously, every new Hall inductee waters down the meaning of being a member. A Hall that has only 300 members is a more coveted institution than if it has 500. But make no mistake about it - voters are determined to expand the Hall, the bigger, the better. Prior to the election announcement, columnists gleefully predicted that the 2018 vote could see more players inducted in a single year than since 1936, the Hall's first year, when Babe Ruth, Ty Cobb, Walter Johnson, Christy Mathewson and Honus Wagner entered. The 2018 class came up one short at four, but an unprecedented 13 have made it since 2015. As for the Hall candidates associated with anabolic steroid use, specifically Barry Bonds, Roger Clemens and Manny Ramirez, many writers suggest that performance-enhancing drugs were a common part of a past baseball era, and to deny them their otherwise rightful place in the Hall is petty. But little is written about the criminal aspect of PED possession, distribution and/or use. The congressional Anabolic Steroids Control Act of 1990 made it a crime which, according to the federal Drug Enforcement Administration, carries a maximum penalty of one year in prison and a minimum $1,000 for an individual's first drug offense. For the second felony offense, the maximum imprisonment period and fine double. No PED users made the Hall this year. But the expansionists won't give up until the steroid crowd is represented in full. This column is distributed by Cagle Cartoons newspaper syndicate. 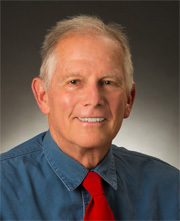 Joe Guzzardi is a Californians for Population Stabilization Senior Writing Fellow whose columns have been syndicated since 1987. This column has been edited by the author. Representations of fact and opinions are solely those of the author.